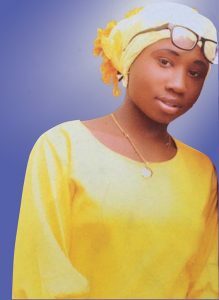 The audio message released by Leah’s captors is being analysed by the government but CNN reports that Sharibu Nathan believes that the voice is that of his daughter. extremist group Boko Haram. Five girls died, but militants released the rest about four weeks later. However, Leah was held because she bravely refused to convert to Islam. Her mother wept when she saw a photo of Leah forced to wear a hijab.